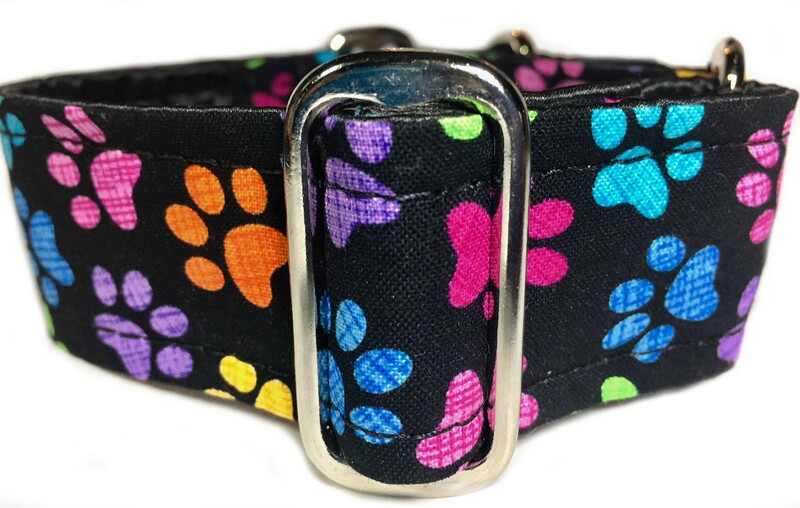 A black cotton fabric with colorful paw prints and hearts is sewn onto a strong yet flexible polypro base that is first completely wrapped in black cuddle satin. Photo shows a 1.5" wide martingale put together with nickel hardware. 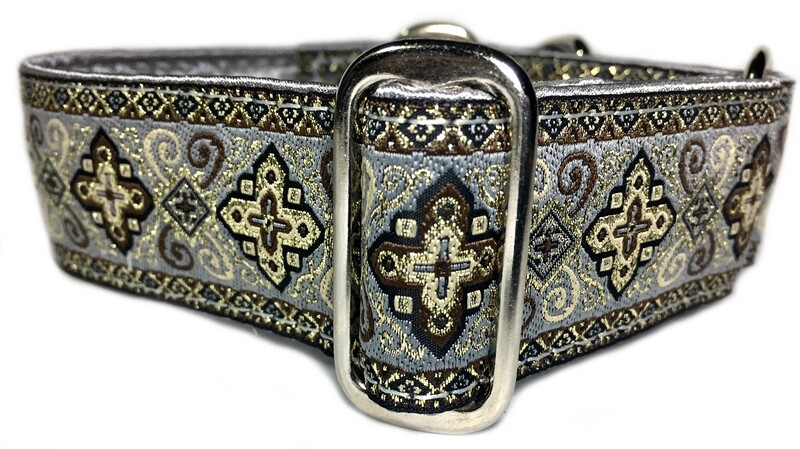 This and all collars are sewn on an industrial machine with color matching nylon bonded thread for safety.